Bharat Heavy Electricals Limited owned and founded by the Government of India, is an engineering and manufacturing company based in New Delhi, India. Established in 1964, BHEL is India's largest power generation equipment manufacturer. Project Engineers: Applicants who have completed B.E / B.Tech in the field of Electrical / Electronics / Telecommunication / Instrumentation / Civil / Mechanical with at least 60% marks (50% for SC/ST) in the aggregate of all the years/semesters from recognized University / Institution or equivalent from a recognized Institute for BHEL Recruitment 2018. Supervisors: Applicants who have completed Diploma in the field of Electrical / Electronics / Telecommunication / Instrumentation / Mechanical / Civil with at least 60% marks (50% for SC/ST) in the aggregate of all the years/semesters from recognized University/Institution or equivalent from a recognized Institute for BHEL Recruitment 2018. 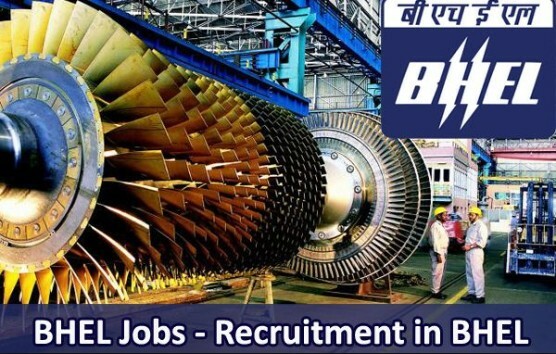 Eligible & Interested candidates can apply via online in Official website page in www.bhel.com BHEL Recruitment 2018. Log on to BHEL careers page at the official website www.bhel.com. Complete the BHEL Jobs Application Form with the essential data. Take a print out of BHEL Recruitment 2018 online application form.